N7RCS | Low-power, low-profile QRP from the Pacific Northwest! Another CQWWDX CW contest in the book! Propagation, at least for my location in the panhandle of Idaho, was excellent for this year’s contest. Worldwide communication, even for me at QRP power, was possible on 15m and 10m during daylight hours. For me, that meant working 51 DXCC entities and 22 of 39 CQ Zones. I notched about 80% of my contacts on 15m and 10m. Ultimately 10m was the strongest band for me. Conditions on 40m and 20m were not nearly as good, much more QRN and weaker signals overall. I operated primarily during daylight hours as band conditions were not suitable after about 8PM PST for me. Both Saturday and Sunday, 10m and 15m came to life at about 1500Z and stayed very active until about 0300Z. I attempted to work 40m at night but QRN was hitting S3-4 which made communication difficult. At any rate, there was very little DX (i.e. non-North American) activity on 40m from my QTH. Both mornings I was able to work many JAs on 15m and 10m. As the gray line moved on there was more action from the European side. Propagation into South America was problematic for me. I could consistently hear stations from Brazil, and other parts of S. America, but was not able to reach them except for two contacts, 1 in Venezuela and 1 in Brazil. HK1NA in Colombia was consistently booming in but I was never able to connect with them. On the other hand, I had no problem working Australia and New Zealand, making multiple contacts during the contest. In addition I was able to work Guam several times, Pakistan and other stations in parts of Southeast Asia. I even managed to work Finland twice on long path – which seemed amazing given my QRP power. 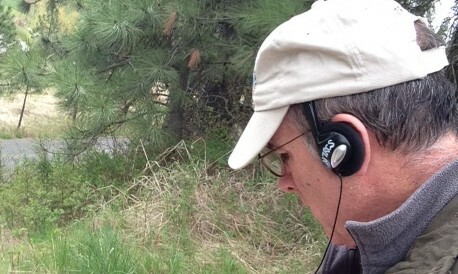 I suspect I heard them on long path and they heard me on short path? At any rate, I ended up with 166 QSOs for the contest, which I am very satisfied with. This entry was posted in Contests and tagged Contesting on December 2, 2014 by N7RCS. I participated as a single op, QRP, non-assisted. I think the ARRL Sweepstakes is one of the more challenging contests from the perspective of the sheer amount of information required for each QSO. There are plenty of ways to go wrong, so you really have to be detail oriented to log each contact correctly 100% of the time. Propagation was generally pretty good here in northern Idaho. 20, 15 and 10m were the workhorse bands this time out. I finished with an unofficial score of just above 12,000, well down from my first place finish in the Idaho section for QRP in 2013 of 18,592. In the end, I was my own worst enemy. Not sure why but I had SWR problems on 20. Since my antenna is a fixed loop running around my roofline it’s not clear what may have caused the issue. At any rate, my internal antenna tuner on the KX3 was unable to bring the SWR down much below 2-1 so I was probably not putting out much more than a watt or two on 20m. That probably hurt my score and I should have checked and corrected this ahead of time. Right out of the gate I made some mistakes getting my log set up, which was caused by not being completely familiar with a new version of MacLogger on my new Mac. So, when the contest began, the first QSO logged got numbered 000 instead of 001. I would have noticed that had a reconfigured my log view to be showing the QSO number. My new Mac is a desktop, which replaced a Macbook which has a much smaller screen. Instead of maximizing my log view I packed a bunch of other stuff on the screen (DXmaps, timers, etc.) and failed to reconfigure the MacLogger display properly. Don’t get me wrong, MacLogger is a fabulous contesting application. Top notch. I even used the contest helper window which has built-in timers providing information on time between Qs and time on band. Having real-time QSO rate information sharpens your focus and makes it much more obvious when lots of time is slipping by between QSOs, making you realize it’s time to move on or get off for a bit. Live and learn. I worked about 19 hours of the 24 allowed, but actually made another mistake by failing to check my 2013 log to see how many Qs I made in that contest. As it turns out, I decided to stop once I reached 166 Qs this year because it was getting late on Sunday for me. I believed I was ahead of my count for 2013. Wrong. In 2013 I scored 188 Qs plus nearly 10 more sections. Again, I should have checked beforehand. One more learning experience for me was getting up too early on Sunday morning (1200 UTC) to try to catch the band openings. I blew 90 minutes of operating time. I should have gotten off, grabbed a few more hours of sleep and logged by on when things opened a bit later. Activity began picking up around 1330 UTC. All in all it was a great contest for me. Consistently strong signals from the teams in Hawaii and Alaska, they were blowing my doors off. I ended with 37 sections. For those who participated this time out, congratulations! For those who did not, I hope to see you next year or perhaps in the upcoming CQWW CW contest at the end of November. This entry was posted in Contesting and tagged Contesting on November 8, 2014 by N7RCS. A few weeks ago I was stunned to receive in the mail from ARRL HQ a certificate with my name and call on it for taking first place in the Idaho section for QRP operators in the 2013 ARRL Sweepstakes! Looking back on my post from that contest I noted how favorable propagation conditions were, but I never dreamed I would actually win a section. Well. here I am a year later on the eve of the 2014 ARRL Sweepstakes and looking for defend my humble title. I’ll be running my KX3 at about 5 watts, using the same dipole/loop antenna configuration. Good luck to all those competing! I just check band conditions and things look great! 10 meters is really hot. I can’t wait to get started! This entry was posted in Contesting and tagged Awards, Contesting on November 1, 2014 by N7RCS. If you’re into collecting awards for QRP operating, consider stopping by a new QRP ARCI site just set up buy Julian – AK4VL. He’s done a very nice job of creating a web page that allows quick efficient data entry for claiming QRP operating awards. Currently, the site is set up for Kilometers Per Watt (KMPW) award. So, if you’re running 5w or less and QSO with stations over about 5,000 Km away (regardless of their power) you can stop by Julio’s site, enter you QSO data and submit the information for an award through QRP ARCI. He’ll be adding interfaces for more awards soon. Stop by and have a look. He’s done a very nice job. Julio is also the creator of the HAMjitsu QRP site. This entry was posted in Awards, Operating, QRP and tagged Awards on January 11, 2014 by N7RCS. QRP: A (minor) star on Kon Tiki! I watched the 2012 movie adaptation of the 1947 documentary, Kon Tiki, made by Thor Heyerdahl of his famous balsa wood raft adventure from Peru to Polynesia. The movie was nominated for an academy award and it’s easy to see why. Very well done with some amazing special effects work. I had no idea that for the trip, Heyerdahl’s crew included not one but two radiomen! The film shows the radio receiver, key and headphones used. I wasn’t able to determine the receiver manufacturer, but it looks like they used a J-38 key. Power seems to have been provided by a crank-powered generator of some kind. During the crossing the movie includes several scenes of the radiomen struggling to get antennas working. In one scene they attempt to get an aerial in the air with a balloon even. Ultimately they appear to have settled on a simple long wire hoisted up along the mast. The radio is used to report their position during the journey and when they ultimately reach Polynesia you hear the sounds the the BBC coming from the radio and see one of the radiomen cranking the power generator. It seems likely this would have been a QRP operation start to finish. The movie is definitely worth watching. I caught it on Netflix. This entry was posted in Antennas, QRP and tagged QRP on January 11, 2014 by N7RCS. The January issue of QST features an article entitled, “One-thousand Miles Per Watt” which focuses on operating awards the QRP enthusiast can earn. I went back through my logbook and discovered I had more than half a dozen QSOs in 2013 that qualified for the 1,000 miles per watt! Although the QST article talks primarily about NAQCC and QRP ARCI awards, there are many other organizations that offer QRP awards. For example, DXAwards.com list dozens of these awards from around the world (some links have gone stale but the page is actively updated). This past weekend I submitted the required log info on my Thousand Miles Per Watt QSOs to NAQCC and QRP ARCI. Both clubs give you the option of having the awards sent FREE via email or, for a nominal shipping fee, sent via snail mail. I used info from my LoTW entries, which also includes a QSO confirmation number and date. For the most part the awards are done on the honor system, but I felt better including LoTW proof of my QSOs. Can’t wait to receive my awards, get them framed and up on the walls of my shack. At 5w or less and with my simple, fixed wire antenna I know I’ve earned each of those awards, so I’m proud to show them off. This entry was posted in Awards, Operating and tagged QRP, QRP ARCI on January 2, 2014 by N7RCS.